From providing cool, breezy air during the sweltering summer months to giving much-needed warmth during winter, an HVAC system is absolutely essential for any business. When your heating and air conditioning goes offline, it really impacts your bottom line. 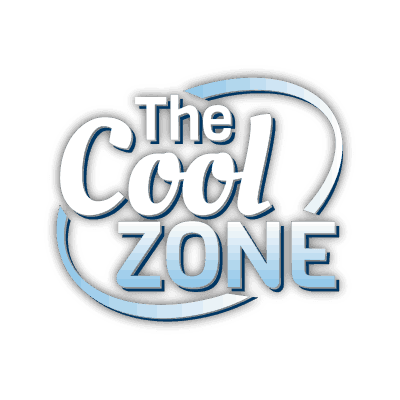 Keep your HVAC systems in tip-top shape—and your customers happy—with Carolina Comfort, one of the leading commercial HVAC companies in South Carolina. We service homes and commercial properties in and around Columbia, including Ballentine, Batesville, Camden, Newberry, Prosperity, and Winnsboro. 24/7 emergency service for your business. Full-service installation, from system design to maintenance. A decades-long reputation for excellence, reliability, and integrity. If you need emergency service, call us any time to speak with a commercial HVAC technician. Carolina Comfort is a full-service HVAC repair and maintenance company. 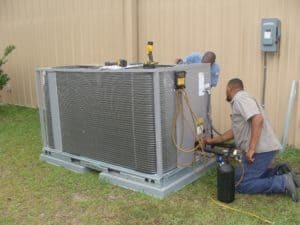 We offer many different HVAC services for all business, big and small. As an integral part of your business, HVAC installation is no laughing matter. It requires a team of dedicated, trained professionals to get the job done. Our Commercial Solutions division provides a full HVAC system solution, from a completely custom design to high-quality, expert onsite installation. No matter what your needs are, we offer different options for a variety of commercial properties to meet your business’ budget and requirements. If you’re looking to install a new HVAC system (or upgrade your current one), we can send one of our licensed technicians out to assess your situation. There’s no one-size-fits-all solution, so we make sure we recommend the best possible equipment combinations so that you get exactly what you need. If something is off with your HVAC system, you should call a professional before it grows into a more complicated problem. We offer 24/7 emergency service and can schedule a service call at your convenience. Do you need to call an HVAC technician? HVAC systems work hard all year round to provide you with modern comfort and convenience. But as with any technical equipment, they need regular inspections and maintenance to keep them in the best working condition. This prevents them from breaking down and causing discomfort for your customers and staff. Even better, you avoid costly repairs and downtime; saving you a lot of money in the long run. We believe that regular maintenance is the best way to ensure maximum comfort and efficiency. Carolina Comfort’s preventative HVAC maintenance checkups are thorough and accurate. We examine everything from your boilers to your air conditioning units to guarantee that everything is working properly. Consistency is the key, however, so we offer ongoing maintenance plans for regular inspections throughout the year. 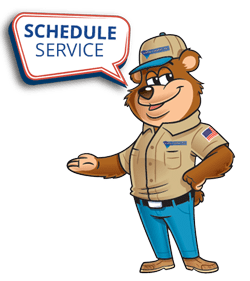 Why Choose Carolina Comfort for HVAC Service? Commercial HVAC companies are a dime a dozen, so why should you choose Carolina Comfort? We staff a team of professional comfort specialists for all of your commercial HVAC needs. Carolina Comfort boasts almost 30 years of excellence in diagnosing, troubleshooting, repairing, and installing all kinds of HVAC equipment. We have a dedicated commercial HVAC team, and all of our technicians are NATE-certified. Our high standards ensure that you can give uninterrupted service and comfort to your customers 24/7. Heil Dealer Award Winner for over 19 years. Lennox Training Excellence Award winner 2017-2018. The Talk of the Town Customer Satisfaction Award Winner from 2013-2015. Best of Columbia by the US Local Business Association from 2008-2013. The ONLY Mitsubishi Diamond Elite Dealer in the Greater Columbia Area. We started as a small, home-grown business in 1992. But today, we employ over 40 employees and have serviced thousands of homes, commercial properties, and more. Everyone, from our staff to our customers, is family to us. Don’t leave your HVAC maintenance, repairs, or installation to chance. Call us any time for emergency repairs, or schedule an appointment whenever is convenient for you.